Nothing is worse than walking into a situation that you know nothing about, especially when that something has to do with your future employment. Doing your research is an essential first step in your arrangements for a successful interview. A good start would be to check the company website and reviews, search what people who have worked for that company have said, and review the people or businesses who have used the company for their own work. This will give you a good insight on what the company does in terms of their work, culture, what they represent, and how others feel about the company. After reviewing the previous items, imagine yourself talking with the interviewer. What will they ask? What will you say? If it is a big company you might be able to find some examples of questions that have been asked to interviewees previously. If not, there are plenty of other companies that are in the same field and share common themes in culture. Review these questions and practice answering them so you do not get stuck saying “uhhh” or “umm” when it comes down to the real deal. Know what you are going to wear 24 hours before the interview. 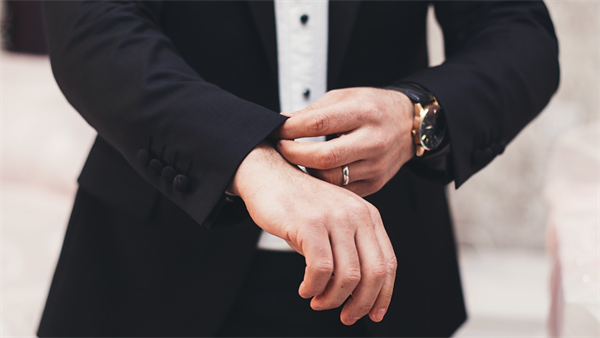 Get prepared the night before your meeting, and get your clothes together in an organized fashion. Lay them out by your bed, ready to go for the next day. Thinking about an outfit before an interview is a distraction from your main goal: landing the job. Make sure to remember your research on the company you are being interviewed by for the job. Is the company business professional, business casual, or flat-out casual? This kind of information can be found using Google or perusing the company website. If you can not find this information, use your best judgement. You would not want to show up in casual attire for a CPA position at a prestigious company. Aim to arrive at the company or place of meeting 15 minutes beforehand. Things can happen on your commute that are out of your control. There are plenty of things that can delay you while you are on your way such a traffic and road construction. If this happens to you, at least there is a good chance that you will still arrive on time. Arriving early shows your punctuality, and assures your potential employer of any future issues that would involve tardiness. The interviewer will appreciate this and make a mental note of your promptness. This will also give you the opportunity to review any of your documents that you should bring while you wait. When you applied for your future dream job, you were most likely asked to upload a résumé and write a cover letter. Bring these records with you! You can have a copy for the interviewer and yourself during the time of your interview. This should include everything that you have done in the past in regards to your previous work, education, volunteer work, and extracurriculars. Having this at your side will prevent any slipups or miscommunication between you and the interviewer. Think of it as a helpful cheat sheet. This will be a nice boost of confidence when you find yourself in the midst of the interview. Remember not to be too humble when being asked questions about your past experiences. You are there to sell yourself! Let the interviewer know exactly what your accomplishments are, and do not be afraid to do a little boasting. This is not a time to worry about tooting your own horn. You want to be heard in this situation. After all of your research and preparation there should be little to no worry of what you will be asked, what you will say in return, and how to properly present yourself. Remember… You got this! You are prepared, and all you need to do from here is execute what you already know. Do your research, dress accordingly, arrive early, bring extra copies, and sell yourself confidently. These 5 steps will give you an upper hand against the competition when it is time for the interview. Preparation will get you a long way, and your interviewer will notice this! Happy job hunting.